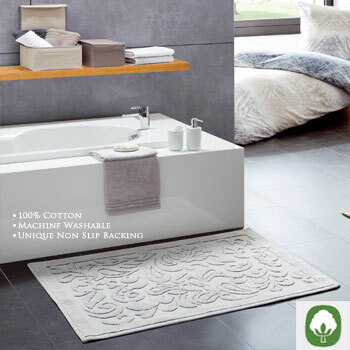 Doors open easily over our high quality low pile polyacrylic and cotton bath rugs. Pile height from .24 to .47 inches (6 to 12 mm). 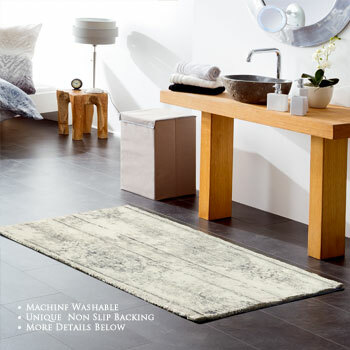 These low pile bath rug designs are perfect if you are worried about stumbling when walking through your bathroom. You can view color and styles for these bath rugs by selecting any of the designs below.